It is hard to compartmentalize the greatness of James Blake’s musical abilities, but his fourth studio album, Assume Form, comes close to giving listeners the full picture his maximalist prowess. Unless someone is a diehard fan of the British crooner or love perusing through the production credits, the musical stylings of James Blake might be unfamiliar. However, he has made significant contributions to some of the best albums of the decade. Blake is credited on albums by Beyoncé, Travis Scott, Kendrick Lamar and Frank Ocean. Blake’s genre-bending material in the past sets the table nicely for Assume Form. His forlorn yet passionate voice fits smoothly with the eclectic group of artists that he has hand-picked to spice up the 12 tracks on this album. There are whiffs of vocal pop, R&B, hip hop and electronic music that pop up at least a couple of times on the record, meaning that Blake gives everybody a couple songs to enjoy. The mix of talent and styles Blake employs on Assume Form come together cohesively and allow for a boatload of highlights that make the project an enjoyable experience. Assume Form contains a lot of songs that have similar themes of love and relationships while also delving into some topics such as anxiety and depression that Blake has opened up about in the past. I think the artists that Blake recruited for the album have a pretty good batting average and their appearances tend to work well within their given track. André 3000 makes a once in a blue moon appearance on “Where’s The Catch”, and as always, Three Stacks kills it on his verse. The former Outkast member drops a flow that is as slick as oil with the commentary and wit that André is known for about things being too good to be true. A Spanish flamenco singer, Rosalía, also makes her mark through a breathtaking performance on “Barefoot in the Park”. She and Blake have such a high level of vocal chemistry and their seemingly weightless voices match the dreamy aesthetic of the backing instrumental. The trio of Atlanta trap producer Metro Boomin, Los Angeles-based soul singer Moses Sumney and Blake looks like an odd collaboration when looking tracklisting, but all of their talents combined results in the chilling banger “Tell Them”. Sumney’s smoky voice compliments Blake’s lowkey yet catchy hook. Somehow, the Metro Boomin/James Blake instrumental that sounds like it could been given to Future or Travis Scott really enhances the vibe of two artists who are the exact opposite of trap-rap. Speaking of Travis Scott, his feature on “Mile High” is the only one I didn’t care for that much. While Metro Boomin is on this track as well and Scott has worked with Blake in the past with a lot of success, “Mile High” sounds hollow and suffers from what I call the “Travis Scott feature effect”, where it sounds like a Travis Scott song that features James Blake. Scott sounds sleepy and doesn’t have that electrifying energy that is synonymous with La Flame. While the features on Assume Form provide some high points within the track listing, the main attraction is Blake himself, whose vocals and production are consistently top notch. Vocally, Blake offers a decent amount of range between subtle and powerful throughout the album in his trademark crooning and his voice is very similar to one his UK contemporaries, Sampha. On the opening title track, Blake hits an emotional falsetto during the outro that works well in tandem with the chipmunk vocal snippets playing in the background. He also fits in beautiful vocal harmonies with Rosalía on the previously mentioned “Barefoot in the Park” and with himself during the chorus on “Power On”. Blake delivers solid performances on the mic, but the surreal and dreamy vibe that is featured in nearly every track constantly leaves me in awe every time I listen to the album. The texture and beauty of the production is a testament to why James Blake is in such popular demand among some of the biggest artists in the world. Aside from the two Metro Boomin tracks, Blake either goes solo on the boards or works alongside Dominic Maker, who is a frequent collaborator with Blake. From the lush strings that come in towards the back end of “Into the Red” to the simple electronic melody on “Where’s The Catch?”, every single song manages to stick to some sort of pop sensibility while also throwing some weird quirks into the mix. The only disappointments I have with Assume Form come from the dull Travis Scott song and a couple songs that are just average in comparison to the rest of the record. “Can’t Believe The Way We Flow” has a couple musical transitions that seem very abrupt and ruin the flow of the song (pun intended) and the two instrumentals don’t really match each other. 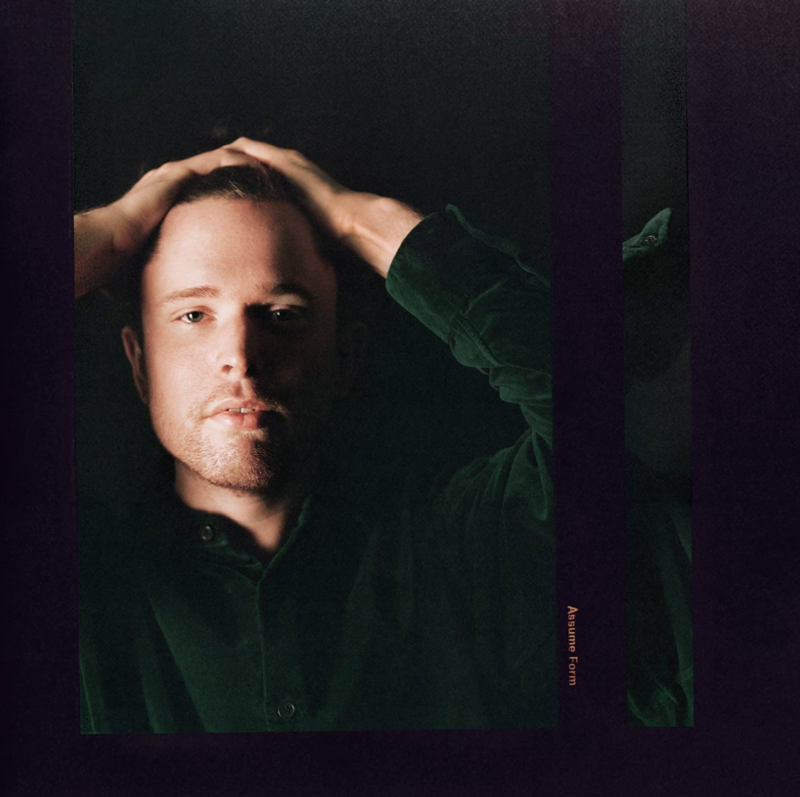 Overall, I think that James Blake kicks off 2019 with a very good project that doesn’t overstay its welcome and is continuously pushes the boundaries in genre-bending electronic music.